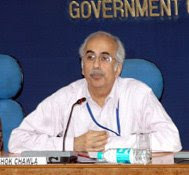 Secretary of department of economic affairs (DEA) Ashok Chawla is likely to be the next finance secretary of India, as the current incumbent Arun Ramanathan is retiring on April 30, 2009. Mr Chawla, a 1973 batch Gujarat cadre IAS officer, had earlier served as the civil aviation secretary in addition to handling the additional charge of secretary, information & broadcasting (I&B). Mr Chawla had earlier served as an additional secretary in the DEA under the ministry of finance. Sources in finmin said that either a 1974 or 1975-batch IAS officer would take over as the secretary of financial services, a department under the finance ministry which Mr Ramanathan has been looking after so far. And that means, Mr Chawla of 1973 batch, will be the senior most secretary in the Finmin, and would thus be designated as the finance secretary. Meanwhile, Mr Ramanathan, a 1973-batch IAS officer of Tamil Nadu cadre is likely to be appointed as chairman of Telecom Regulatory Authority of India (TRAI). He is already one of the three short-listed candidates for the coveted post. 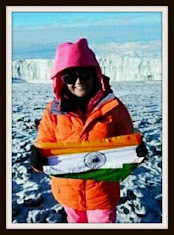 At present, TRAI member, Finance, A K Sawhney has been looking into the day to day activities after Mr Nripendra Misra retired on March 22, 2009. When will the new TRAI chairman to be selected?